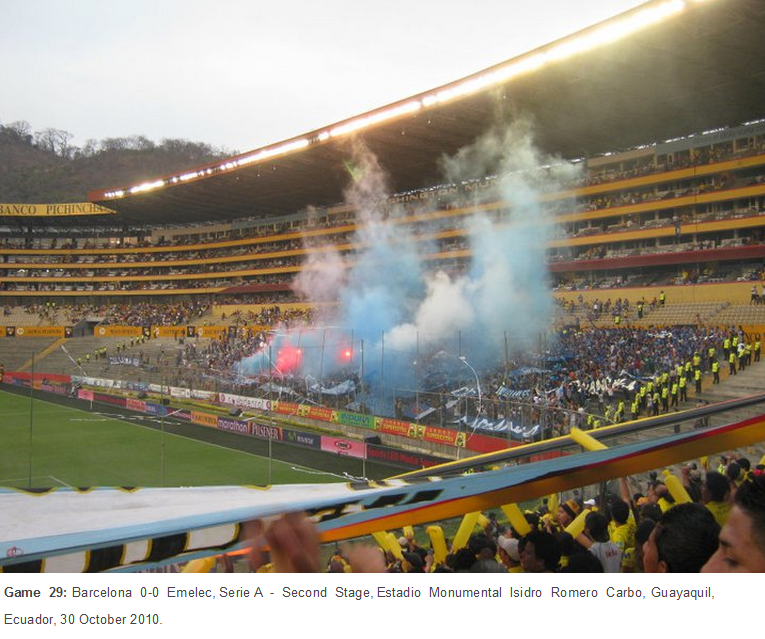 Having recently finished reading Barra Brava, David Freeman’s envy-inducing account of his 18-month journey amongst a diverse range of Latin American football fans, Hispanospherical.com has been fortunate to be able to talk to the author. Following on from an introduction to his book, this extensive Q & A should be essential reading for anyone who has ever contemplated embarking upon a similar adventure. 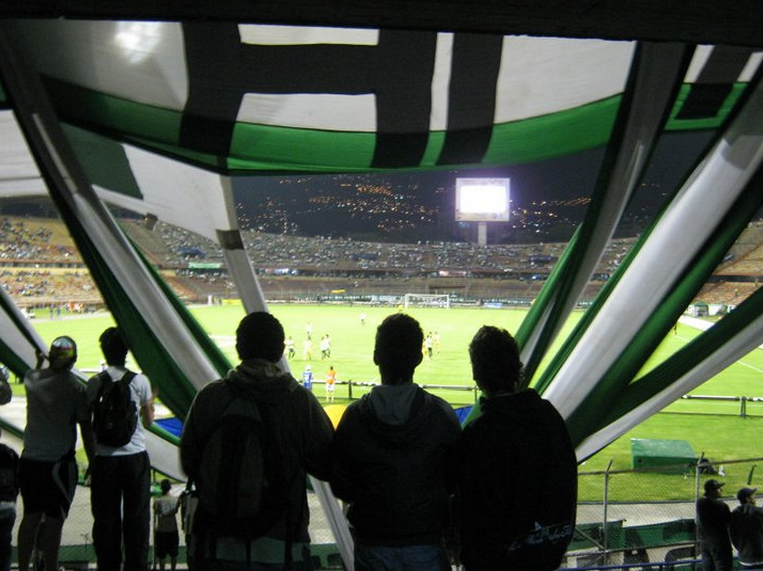 Game 18: Itagüí Ditaires (now Águilas Doradas) 4-0 Atlético Nacional, Copa Colombia Quarter Final First Leg, Estadio Atanasio Girardot, Medellin, Antioquia Department, Colombia, 15 September 2010. One of 67 games David Freeman attended in the Americas. 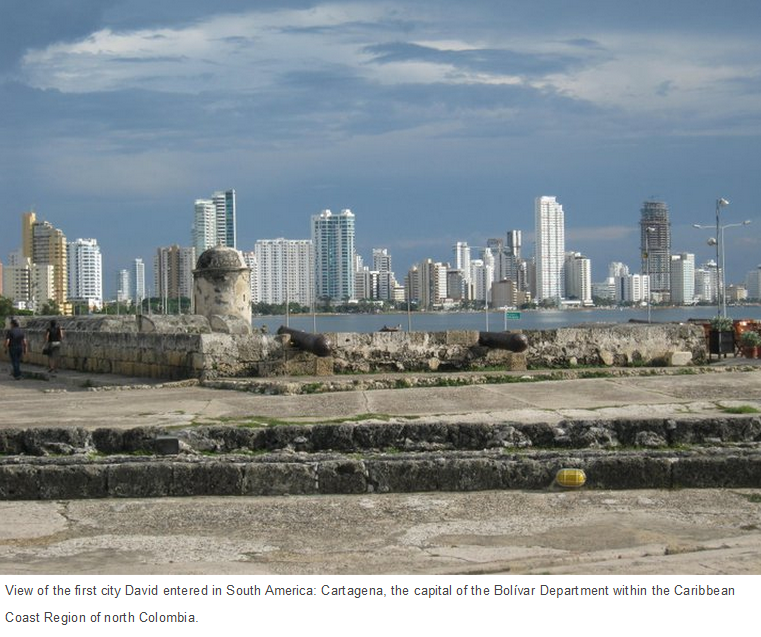 David Freeman’s Barra Brava is sold in paperback and/or Kindle format through Amazon’s many location-specific websites. To purchase a copy, click whichever link is most relevant to you: UK/Ireland, USA, Canada, Australia, Mexico, Brazil and Spain. In the collective consciousness of most football fans outside of its vibrant orbit, Latin America is somewhat of a dichotomy. While it may harbour a tantalising cocktail of innovative skills and irrepressible passion, it is nevertheless very much on the periphery of the global footballing mainstream. Although hundreds of its exports to Europe’s opulent centre-stage regularly provide incalculable instances of the substantial reservoirs of talent that this vast region consistently produces, the awareness of the footballing cultures from whence they came leaves something to be desired. Indeed, the clubs, supporters and environments that initially helped to nurture many of these cracks exist in many imaginations as little more than a combination of crude, often unflattering stereotypes, as well as names – the latter of which are diminishing in stature with each passing year. As the exodus of native talent shows no sign of abating and kick-off times in this area for spectators in the Old Continent tend to be either anti-social or clash with top-flight European matches, none of these leagues appear well-placed to redress this situation. Nevertheless, for many, the curiosity will always linger. 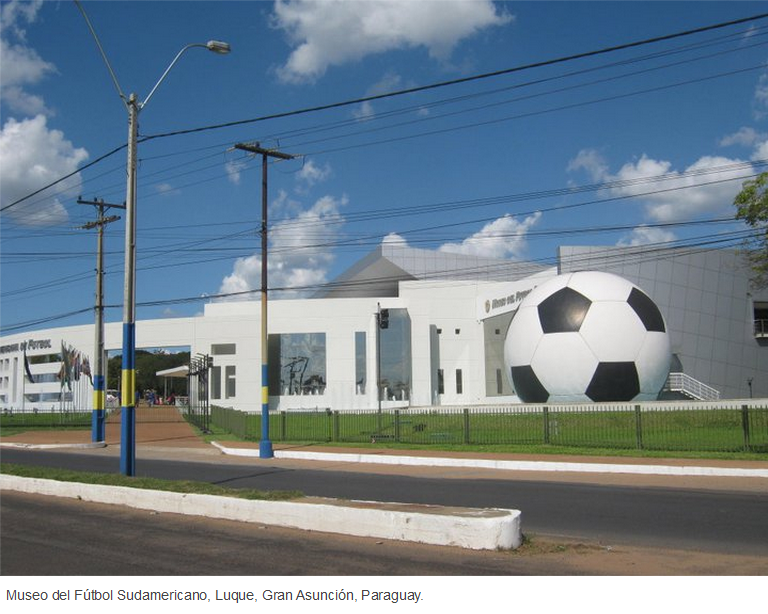 After all, having witnessed the 2014 Brazil World Cup, in which several Latin American nations were well-represented in both the stands as well as on the pitches, how many fans idly daydreamed about experiencing some of these atmospheres first-hand? Well, one man who has already done just that and on a scale that is surely the envy of football fans and cultural tourists the world over, is David Freeman. 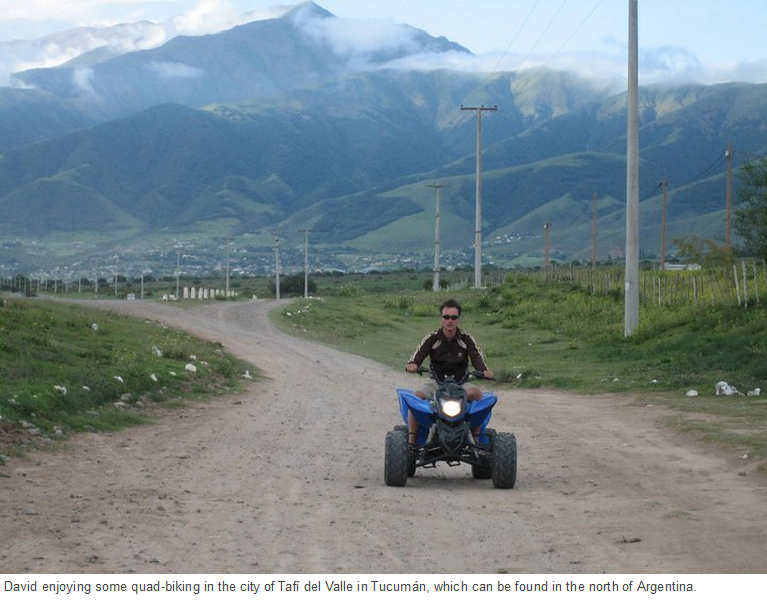 His book, Barra Brava, is an absorbing travelogue, chronicling an 18-month journey that began in October 2009. Starting off with a brief Latin-tinged spell in the United States watching the now-defunct Chivas USA, he then crossed the language-barrier to experience many of the sights, sounds and sensations of Latin America, culminating with one final linguistic hurdle in Brazil where the fun ended in April 2011. Along the way, he visited 18 different countries, watching no less than 67 live matches in 15 of them. 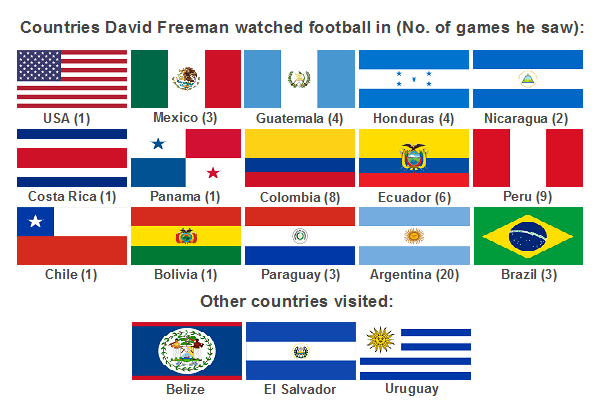 With so much ground covered, Freeman was able to experience the footballing cultures of not only some of the area’s heavyweights, such as Argentina and Mexico, but also those of nations that most people would struggle to name a single international player from (Guatemala and Nicaragua, anyone?). Bringing a modicum of order to complement the roaming devil-may-care spirit that often pervaded his travels, Freeman made it his mission to mix with as many local supporters as he encountered. 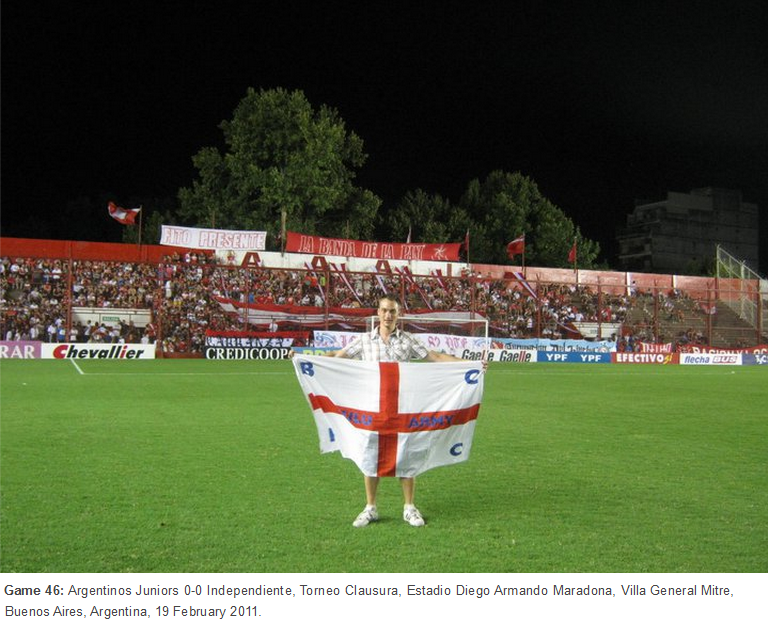 With his accompanying England flag conspicuously signposting him as a figure of curiosity in the stands, he was able to use his ever-developing Spanish skills to learn about many varied fan groups, their matchday rituals and relationships with their clubs. 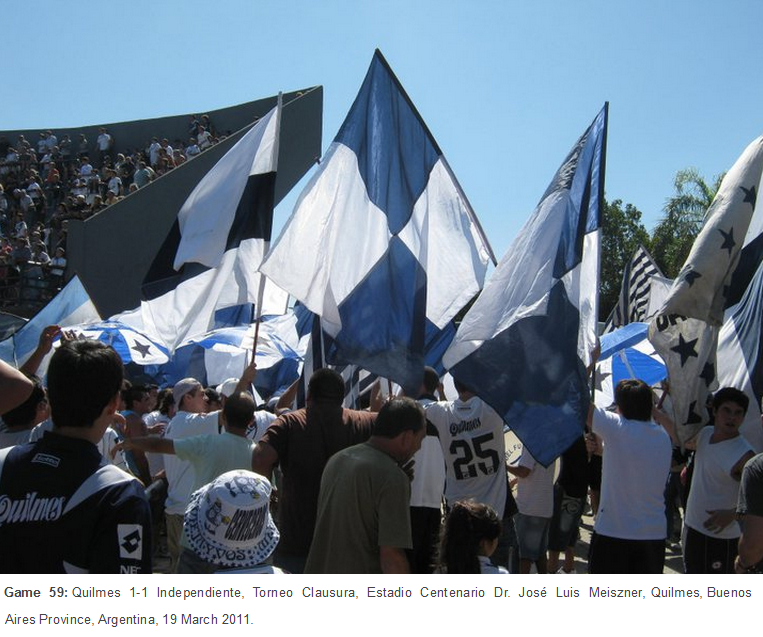 Subsequently in print, he displays an admirable levelling of the playing field, relaying his experiences of the barra bravas of the likes of Boca Juniors, Santos and Club América in a similar manner to those of Motagua (Honduras), Deportivo Saprissa (Costa Rica) and Blooming (Bolivia). Wherever he turned up, there were always songs, gestures and/or dances to first decode and then perhaps, when enough of his beverage of choice had been consumed, join in with. Yet, as readers will discover, it was not always to be plain sailing, with the tensions in the stands sometimes escalating into atmospheres markedly less hospitable towards this Englishman. Indeed, from finding himself on an Argentine pitch being booed by supporters less-than-impressed with his flag to requiring police intervention to restrain a knife-wielding Colombian youth, Freeman’s recollections often serve to caution, as much as to inspire, the prospective traveller. 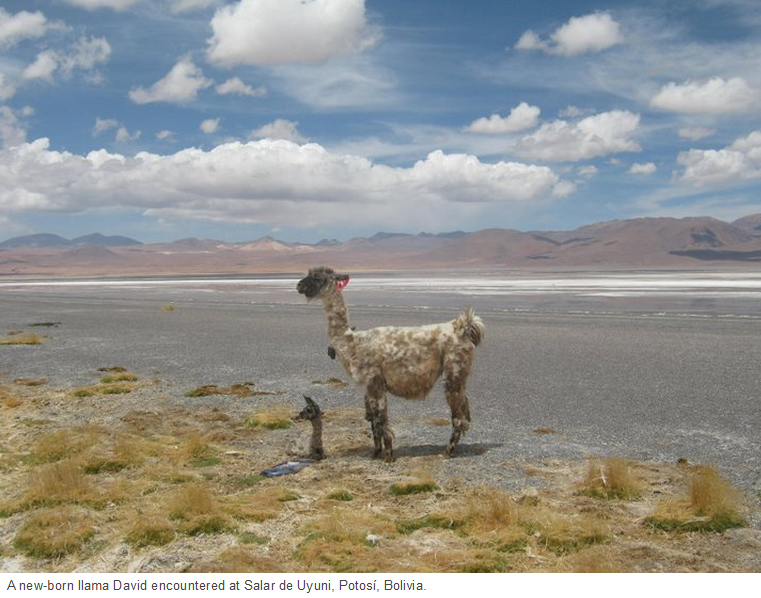 Away from the stadiums, his explorations of a rather breathtaking range of locations were no less colourful, with every other page flowing with anecdotes and evocative descriptions. 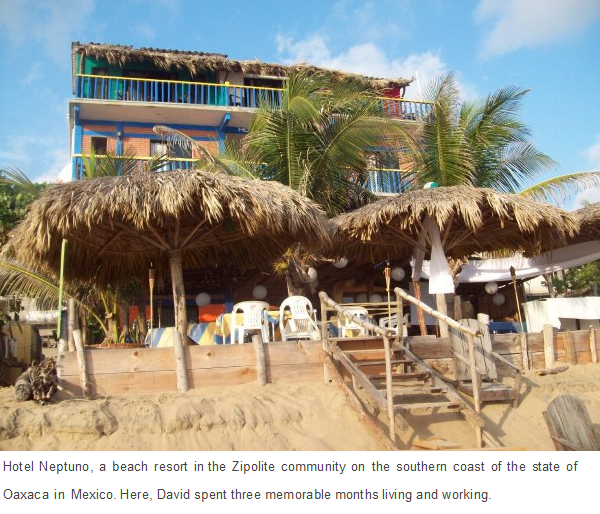 A rich diversity of experiences was evidently had, not least during a lengthy spell at a Mexican hotel situated by a nudist beach as well as, conversely, when teaching English in the poverty-stricken Nicaraguan capital of Managua, where he participated in some controversy-mired Independence Day celebrations. 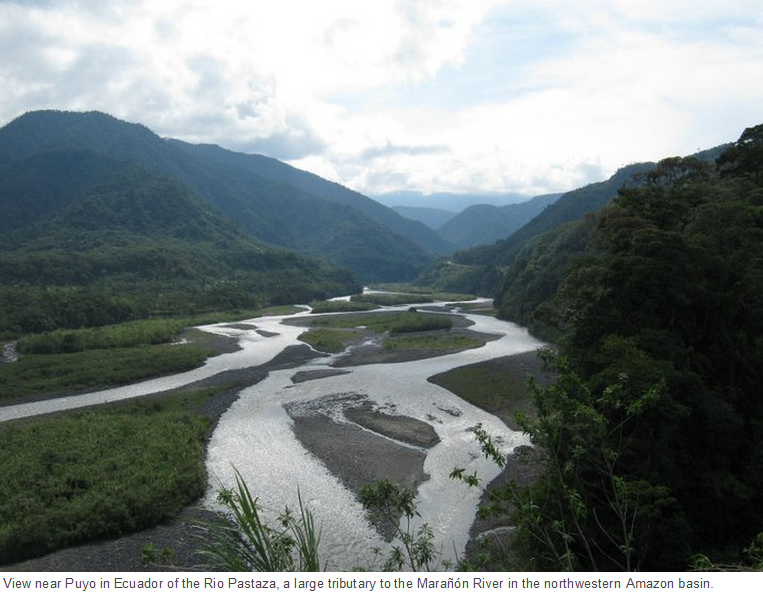 Furthermore, some of his more inquisitive forays included visits to the Mayan ruins in Central America, the idiosyncratic capitals of Panama City, Bogotá and La Paz, as well as the topological treasures of the Calchaquí Valleys in north-west Argentina. As can be expected, invaluable nuggets of practical advice are scattered throughout this book, rendering it an essential primer for anyone thinking of embarking on a journey that encompasses even a fraction of the ground covered here. Freeman regularly takes into consideration such readers, particularly when providing what amounts to a mini-dictionary of Spanish words and phrases at the beginning of each chapter that can be used to ingratiate oneself with the locals. So, if you like the sound of going on such a trip yourself or would simply like to read the adventures of someone who did, be sure to check out this book, the most latest edition of which has just been published. If, however, before making such an investment, you would prefer to know a little more, then as well as perusing the promotional website, please read on as Señor Freeman has recently been kind enough to answer some questions in detail, providing a considerable idea of what Barra Brava is all about. [Darren Spherical] Hello David, thank you for agreeing to answer some questions (and for providing so many photographs!). Your book provides countless entertaining vignettes and fascinating insights into various footballing cultures and societies in the Americas. Prior to beginning your adventure, you mention that you worked for an internet bank and had not done a great deal of travelling. What motivated you to sell your house to embark on such an extensive and, at times, daunting journey? Also, why Latin America? [David Freeman] My short answer is that I’d been bitten by the travel bug when I went to Australia and seven years on I needed to scratch the itch. The timing was all about personal circumstances, having been promised redundancy and not having responsibilities such as kids to worry about. 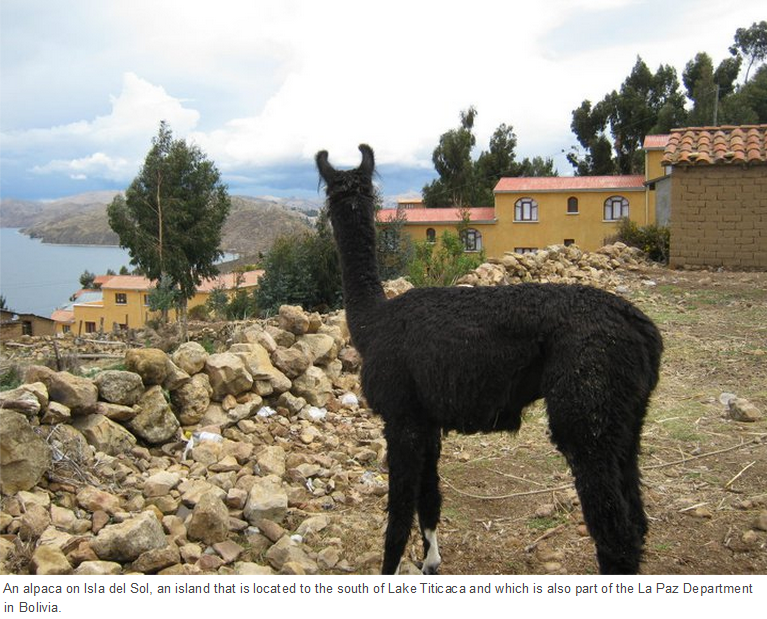 Latin America was chosen based on learning Spanish and being able to communicate throughout two continents. Regarding the book’s title, on your travels you met dozens of different groups of fans from over a dozen Latin American countries. Based on your observations, could you give an introduction to the barra bravas? How did they differ in some of the nations you visited? 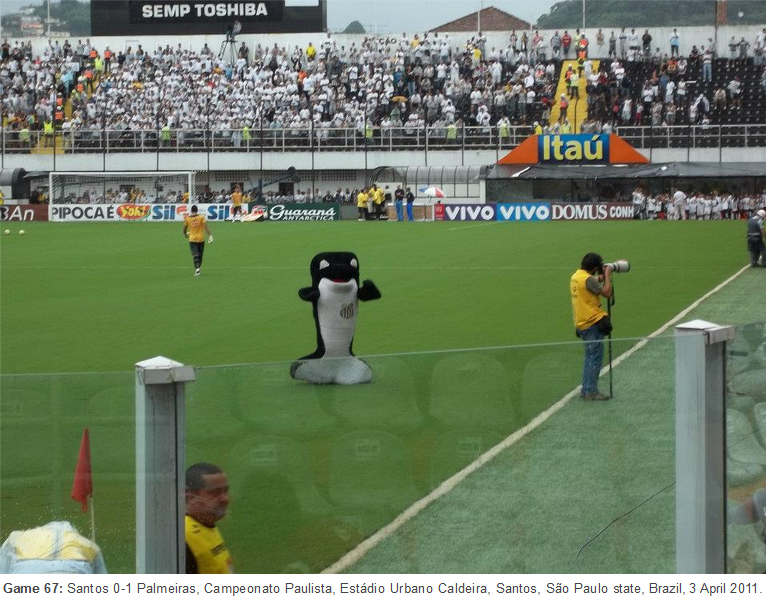 I’d describe the barra as universally passionate people who support their club in a noisy, colourful and fanatical way. 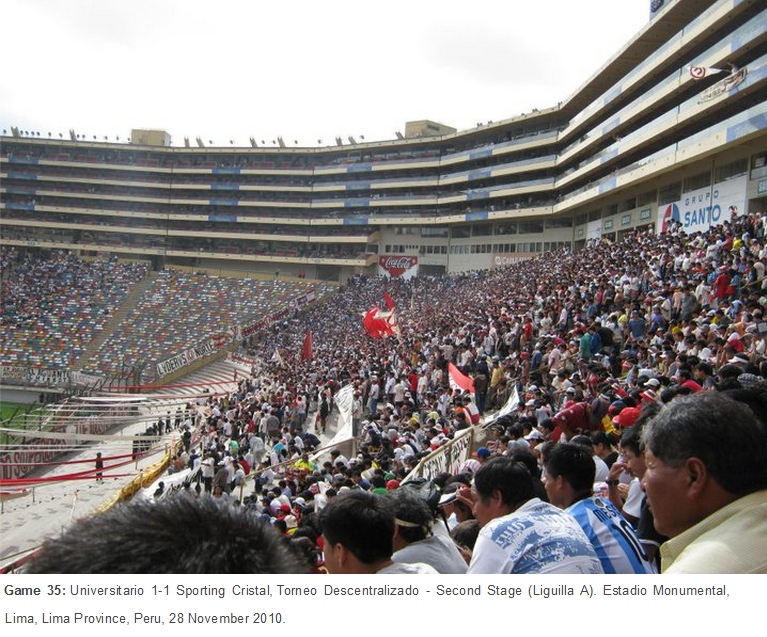 In my experience, barra bravas are not the same as hooligans because clubs like Pumas (Mexico) and LDU Quito (Ecuador) are supported by civilised, friendly students who had no interest in violence, but instead created atmospheres to compete with the most fervent in the world. 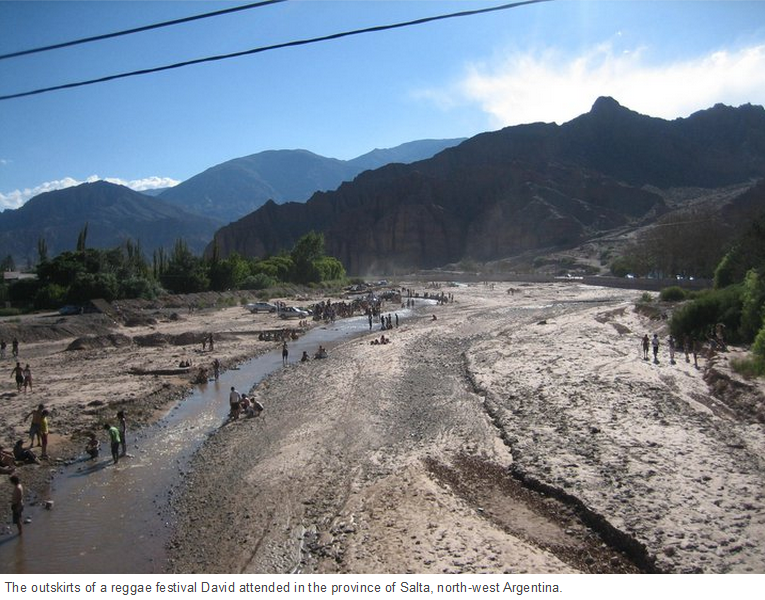 Whilst I tried not to get involved in the seedy sides of any barra that I encountered, there could be no doubt that in certain places (mainly Colombia and Argentina) they were a public menace whose activities resulted in people dying every year. 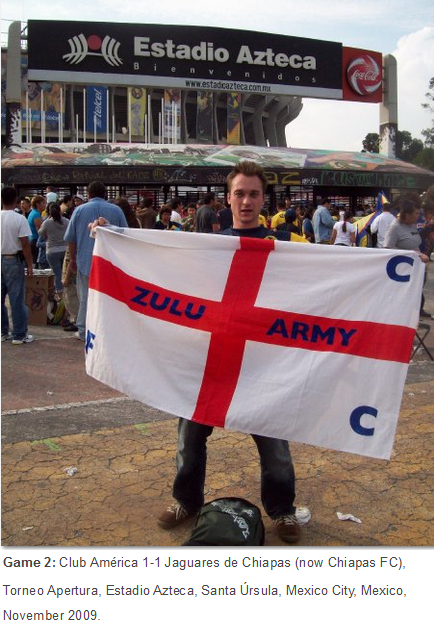 At each ground you entered, you tried to get a photograph of yourself with your flag (an English St. George’s Cross emblazoned with the name of Birmingham City’s Zulu Army firm). How did you feel in such situations? Regarding some of the more negative responses, you must have feared for your own safety at times? A gringo waving a flag around always attracted attention from the locals but I found the majority to be friendly, particularly as I spoke Spanish and it was clear that I was as crazy about football as they were. In some places it was really intimidating waving a piece of cloth around that advertised that you were a vulnerable foreigner, but it proved to be a great ice-breaker amongst curious strangers. The numerous positive experiences with my St. George’s cross far outweighed an occasional negative one – plus the volatile situations made for the best stories! 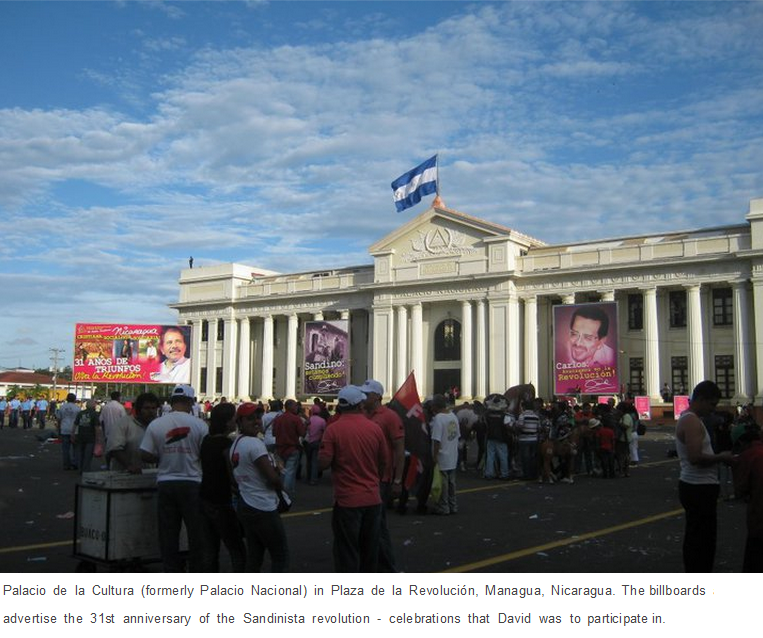 To see dozens more photographs of David with his flag at stadiums, click here. 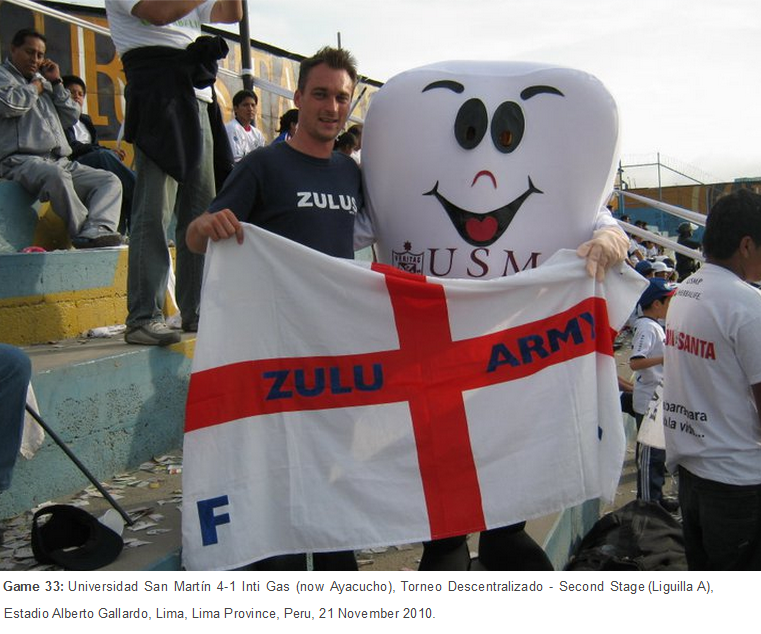 Could you give any advice to future football tourists who wish to experience some of the colourful and raucous Latin American atmospheres without getting embroiled in any trouble? Simple: go in the main stand. 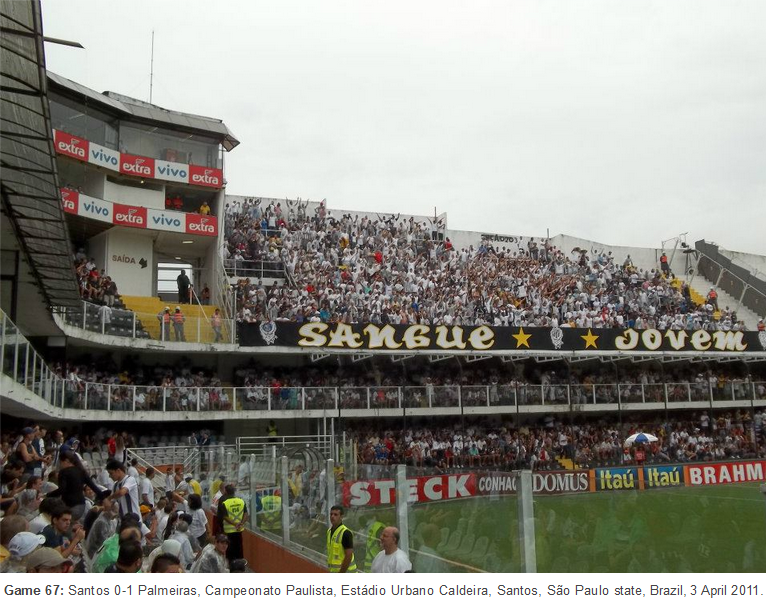 At every ground I visited there was a tranquilo section that charged around twice as much to enter than the ‘popular’ terrace. This more expensive seating area had a far better view, superior facilities, good stewarding and was populated by reasonable people. If, however, you insist on mixing it up, I would repeat the point about being able to communicate with the natives and, above all, be wary of everything! With regard to fan culture (pre-match rituals, songs/chants, dances, paraphernalia etc. 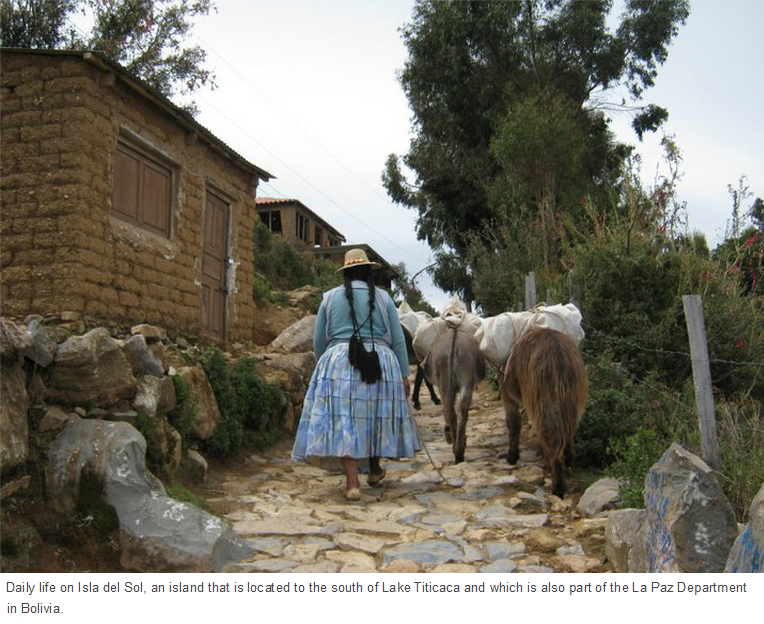 ), what were some of the most memorable things you observed and/or joined in with on your travels? 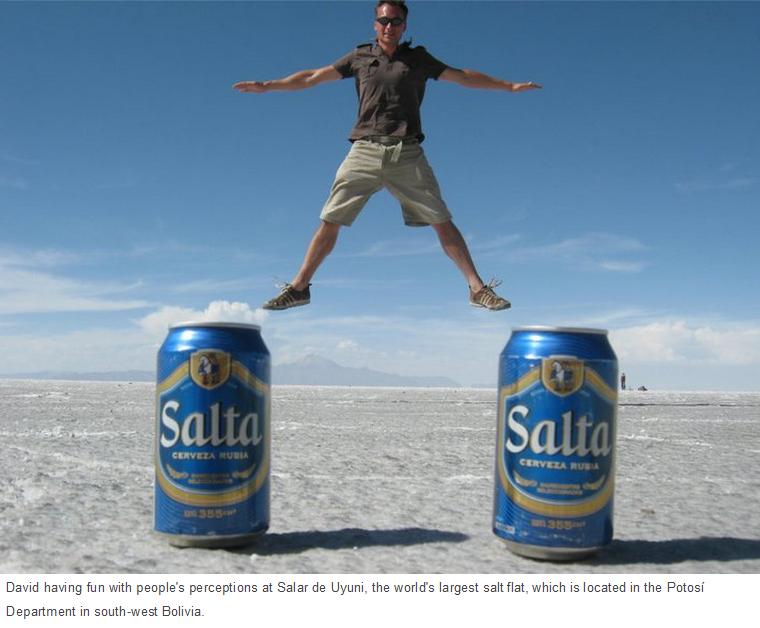 Personally, I found the friendly beer-drinking culture whilst watching games in Mexico, Central America and Ecuador enjoyable. 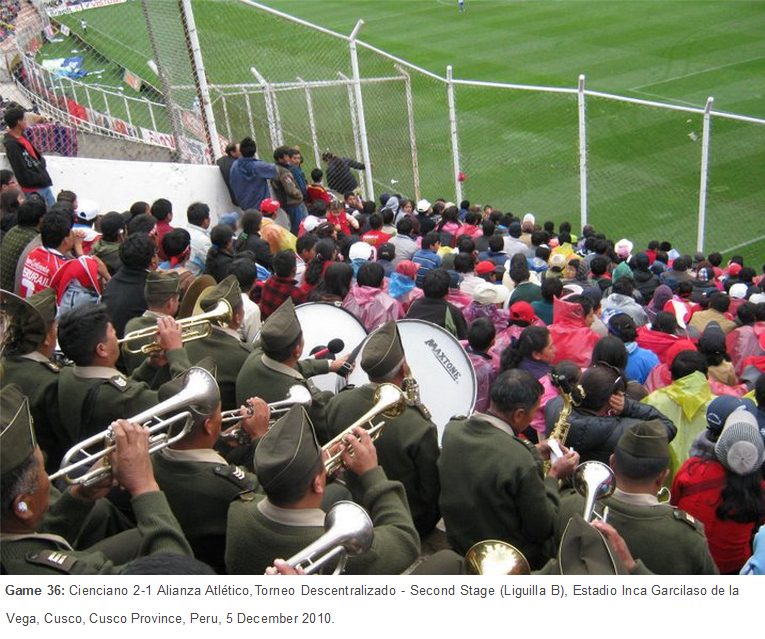 More universally, the fans consistently bouncing and singing, always admirably supported by musical instruments. Every club had at least one drummer, some even had horn sections (see this video compilation for some of the highlights of fans I encountered). Also, the socialising during play, aided by the open terraces, which is something that has been lost in the UK. This is in contrast to Germany, which is the leading nation in Europe with regard to atmosphere at domestic fixtures, driven by their affordable safe standing sections. Moving away from the stands and onto the pitches, you saw many well-known players, some of whom were winding down their careers after spells in Europe and others who were emerging and have since gone on to play in the Premier League, La Liga, Bundesliga, Serie A and elsewhere. Who were you most excited to see and who left the most lasting impressions on you? Juan Manuel Iturbe impressed me most as a 17 year old turning a match at the 2011 South American Youth Championship in Argentina’s favour against Chile. He made some stunning appearances in the Copa Libertadores before impressing for Hellas Verona and now finds himself at Roma. Neymar won the Libertadores with Santos in 2011 scoring crucial goals throughout, although showcasing his ample array of skills and tricks at that level did not always benefit the team. Juan Sebastián Verón’s passing at Estudiantes was masterful in Argentina’s Primera División. Salvador Cabañas looked a class act for América in Mexico’s top-flight, though this was of course before he was tragically shot by a drug dealer. Indeed, understandably he was never the same afterwards. Staying with on-field matters, what were some of the most memorable games and goals you saw? The Clásicos were always the best value for money atmosphere-wise; the derbies in Mexico (Pumas 3-2 América, Game 3) and Colombia (Deportivo Cali 6-3 América de Cali, Game 24) lived up to the hype on the pitch. 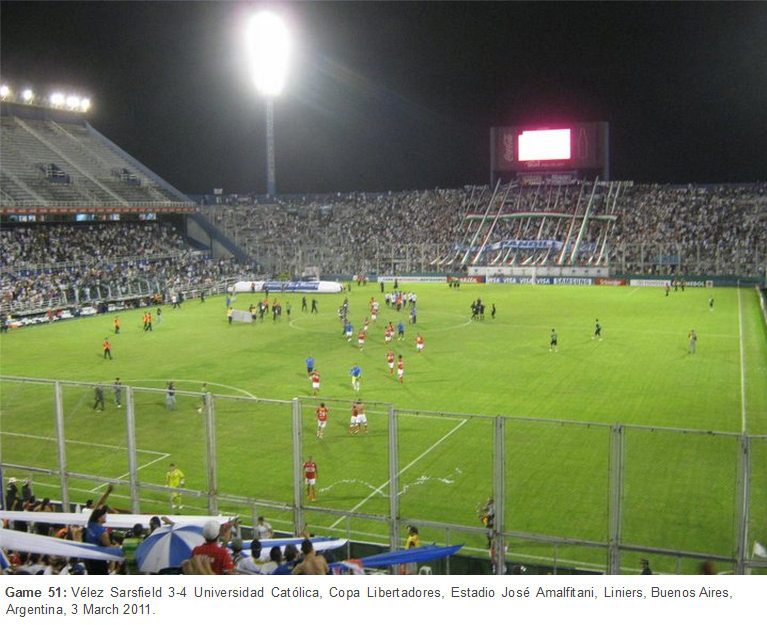 My favourite was bouncing among Universidad Católica’s fans in Buenos Aires as the Chileans scored three goals in the last 20 minutes to record a 4-3 Libertadores group stage victory away at Vélez Sarsfield (Game 51). 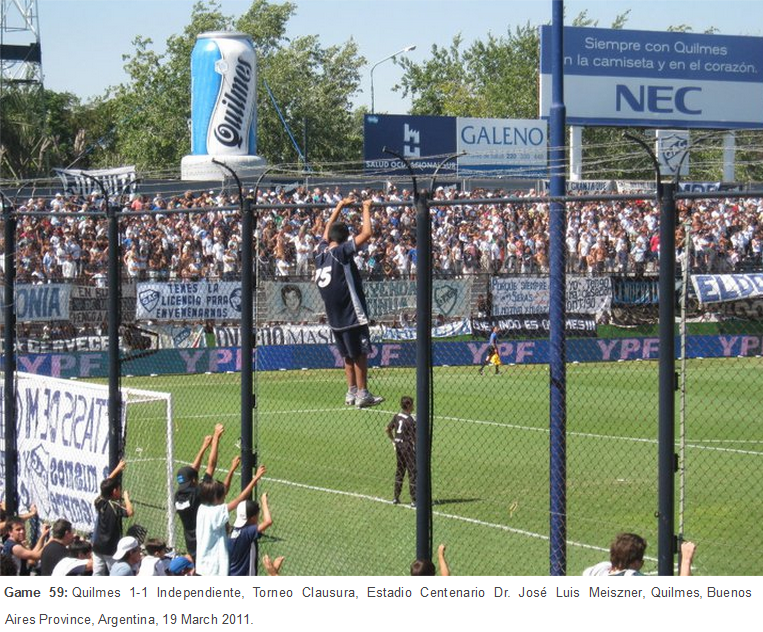 There were also many dull games where la barra provided the entertainment. Just under a quarter of the games you watched were in the North/Central American (CONCACAF) region, often in countries which many football fans will not have considered visiting. What did you make of the play, supporters and stadiums in this area? 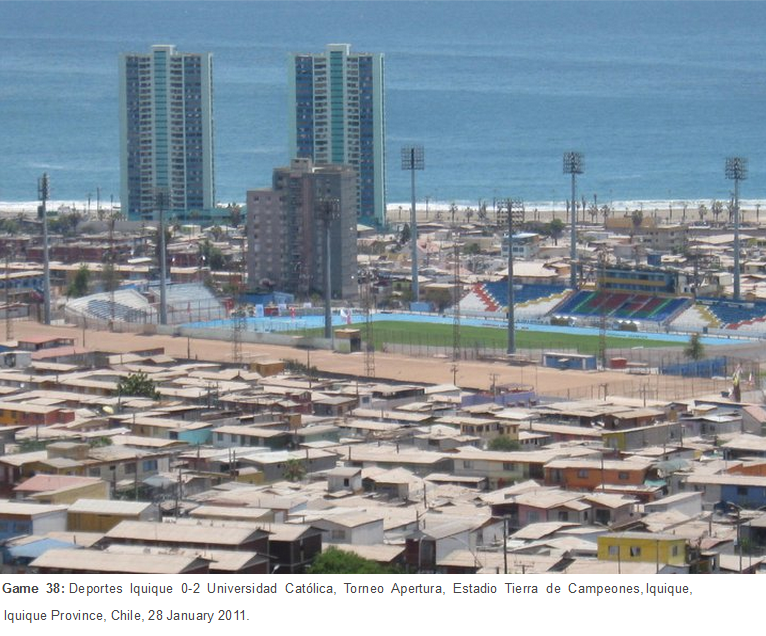 Central America’s population were as passionate about football as those in the southern continent. 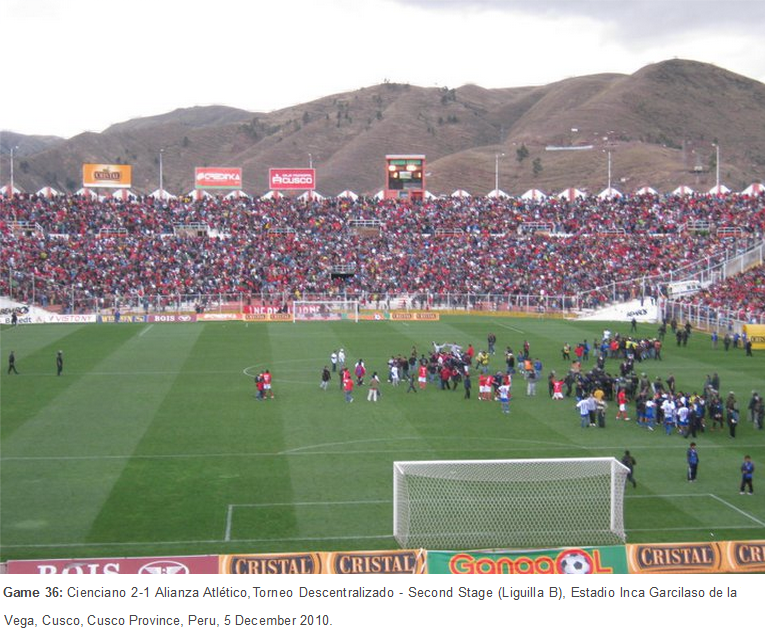 Yet though, for example, Los Ticos defied the odds to reach 2014’s World Cup Quarter Finals, football in Central America was markedly inferior to the South American game. 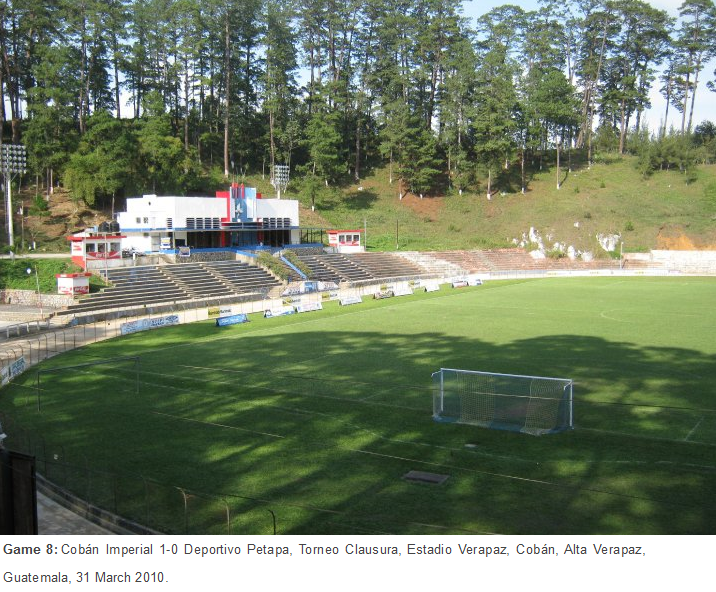 Though considered part of the North, Mexico was the region’s domestic powerhouse, aided in part in being alone in having some of its teams compete in the most prestigious club tournament in the Americas, the Copa Libertadores. 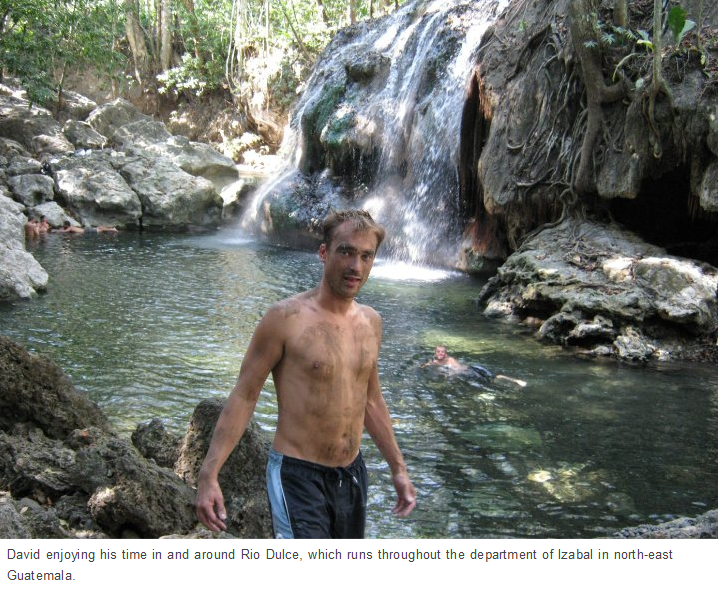 Whilst the CONCACAF Champions League wasn’t a particularly competitive tournament, it did throw up some interesting ties, sending high-profile MLS sides and former European legends to remote places such as El Salvador. 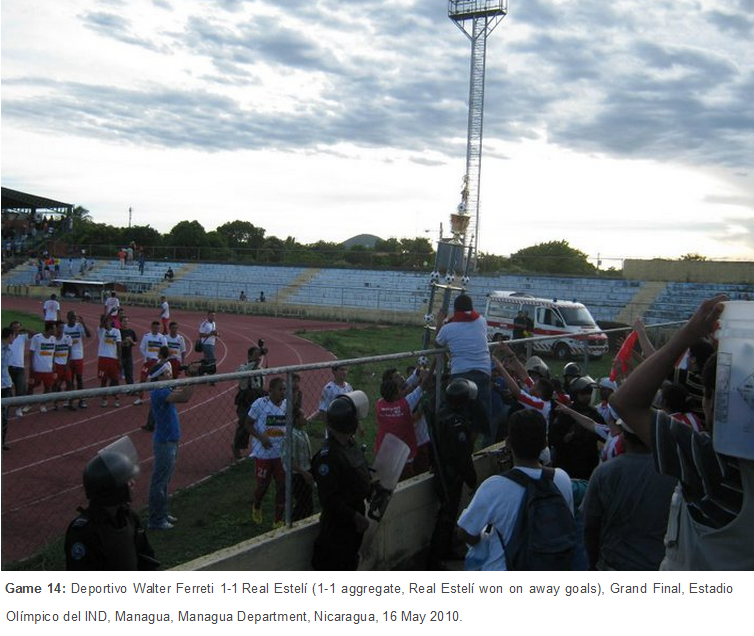 In my experience, the rural locations were really friendly and the atmospheres were brilliant, even at a Nicaraguan league final held in a baseball park. Outside of the stadiums in this area, you seemed to have rather diverse experiences, from the fun of Mexico to the comparative austerity of Nicaragua. Which places would you recommend to visitors to this region? 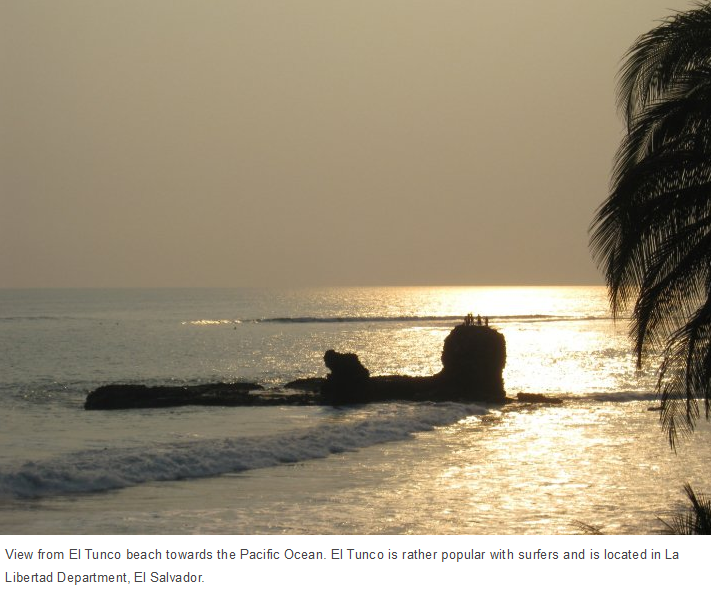 Most visitors to this part of the world head to Cancún (Mexico) or Costa Rica, and the tourist industry outside of these places is still developing. I found every country to be fascinating and despite not receiving as many visitors, each had some fairly well-established attractions. 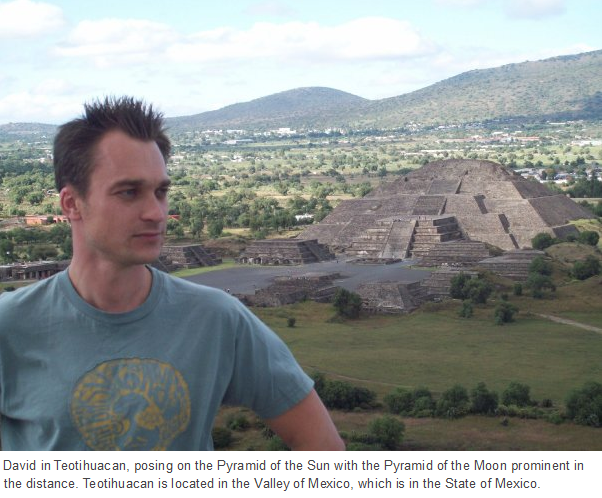 These were mainly based around coasts, lakes, mountains and Aztec or Mayan historical sites. Panama City was one of the oddest capitals I’ve seen and there was an amazing sunset pretty much anywhere along the Pacific coast. Nicaragua would be my suggestion if you want to escape reality and don’t mind a chaotically relaxed experience. 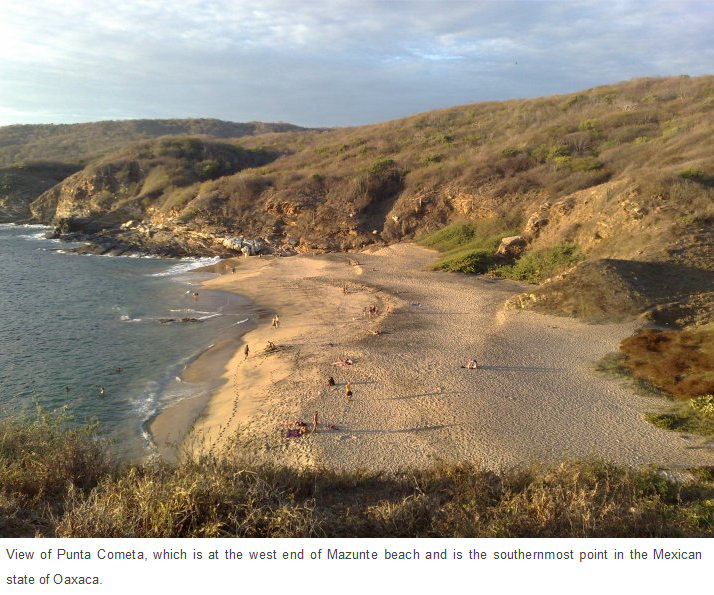 Compared to South, Central America is far cheaper on the ground and much less ‘discovered’, although air fares can be expensive. 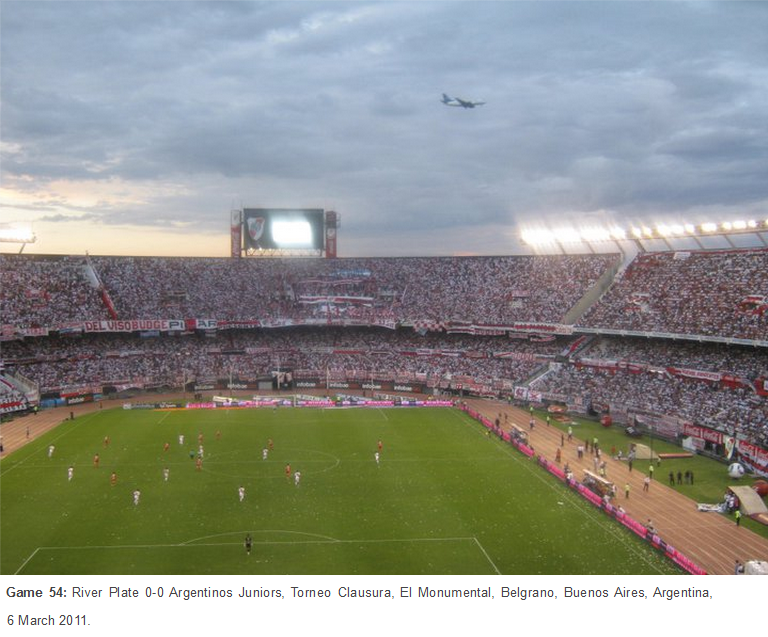 You watched 18 games in Buenos Aires (and 20 in Argentina altogether) in little over five weeks. As this is a footballing Mecca, what advice can you impart to anyone wishing to visit this city with similar intentions? Where possible, I would suggest buying your ticket in advance. Also, when I was there, the home fans were generally retained in the ground for 40 minutes after the final whistle, so going in the away end was preferable. However, as visiting fans have since been banned due to repeated problems with fan violence, there may be a wait before this advice can be put into practice again. Nevertheless, also make sure you use public transport to your advantage. 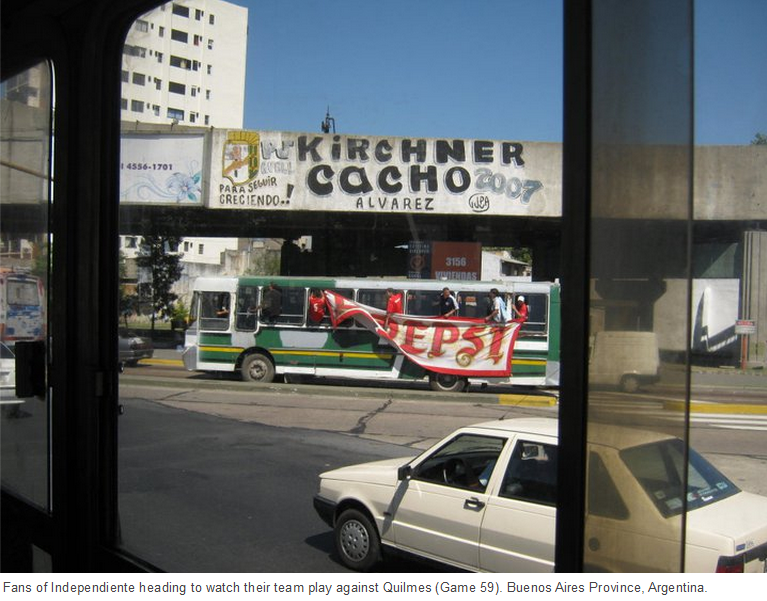 From Central BA the train is best for Vélez, All Boys, Quilmes, Arsenal de Sarandí, Lanús and Argentinos Juniors; the Metro is convenient for River, San Lorenzo, Huracán and Atlanta; whilst the bus is quickest when visiting Boca, Racing and Independiente. 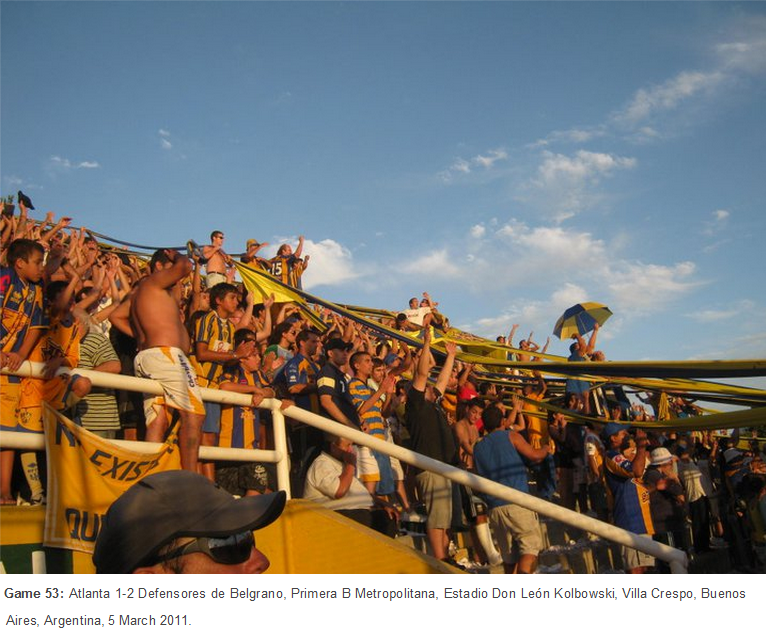 Also, if you have the time and inclination, go to a smaller club in addition to Boca or River, as they can be far cheaper, friendlier and almost as spectacular. 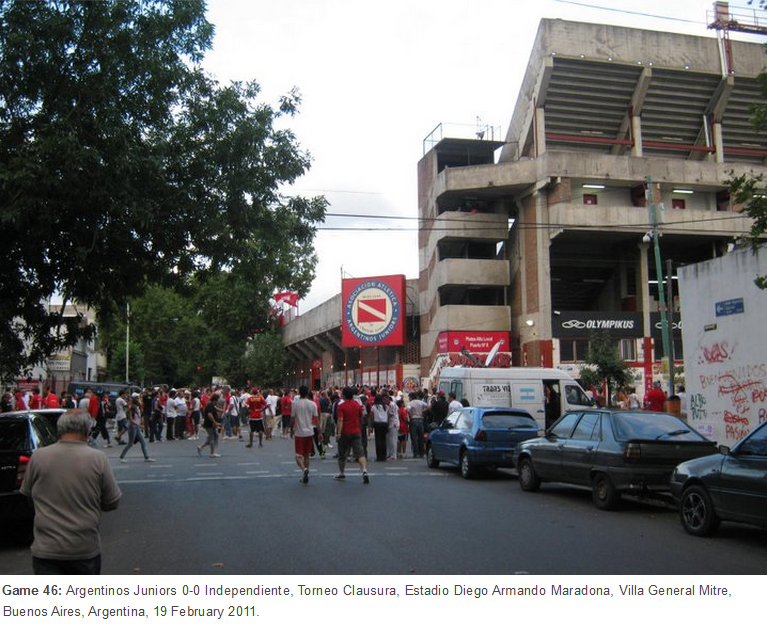 Finally, be wary of the alcohol exclusion zones around stadiums in Buenos Aires. Outside of Argentina, but remaining in South America, what were some of your highlights watching football in this particular continent? 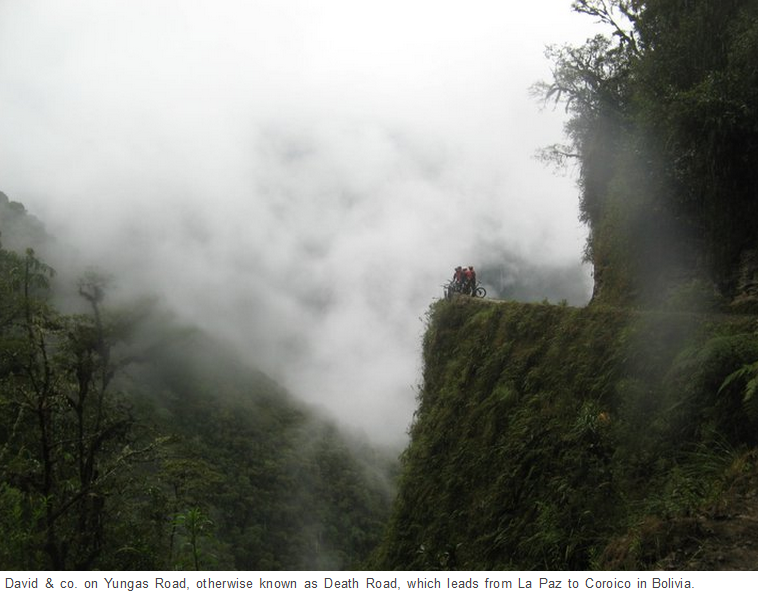 Colombia had the most edgy and memorable atmospheres. Ecuador was the friendliest, although my opinion is aided by the fact that they served beer in the grounds, plus Guayaquil and Quito were unexpectedly vibrant football cities. Asunción (Paraguay) was a little gem in the middle of nowhere which had a wonderful history. Iquique (Chile) had the best band I saw, complemented by a full brass section. 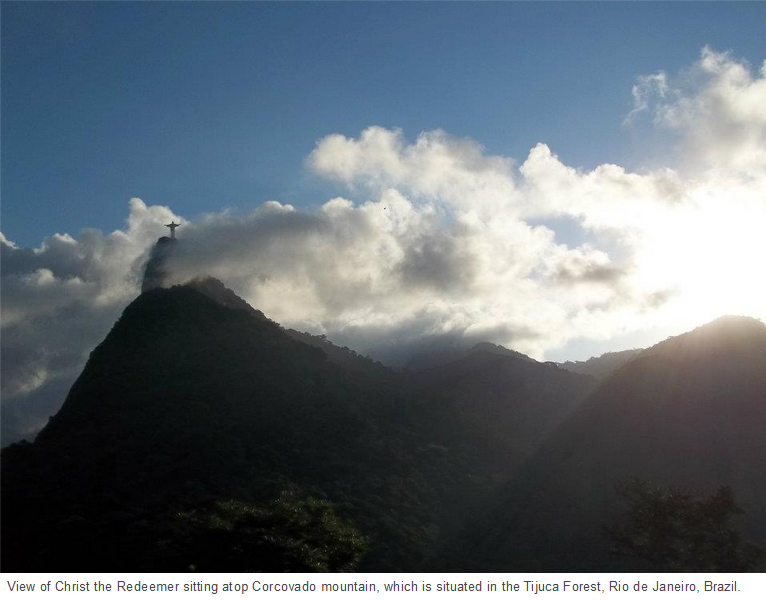 Again, away from the football, what would you recommend to future visitors to the nations you travelled to in South America? 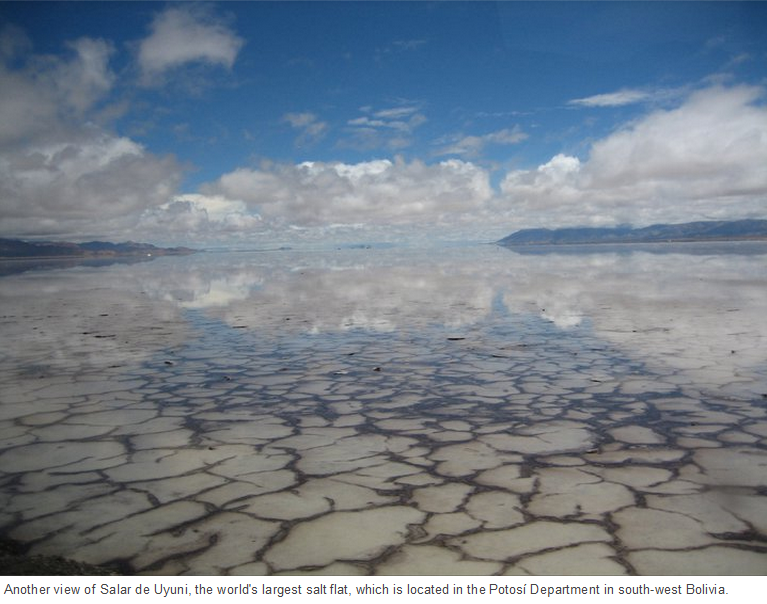 Salar de Uyuni (Bolivia) was the most spectacular natural wonder I have ever seen and certainly guarantees some amazing photos. 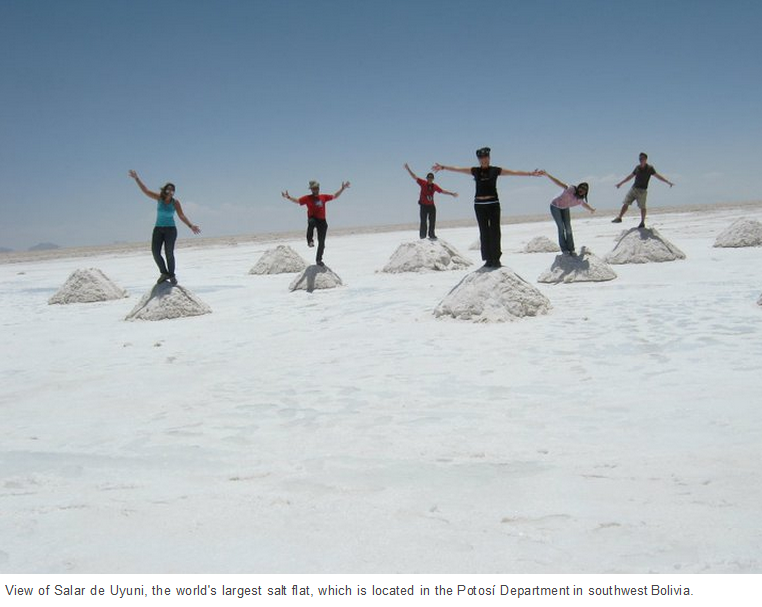 Generally speaking, Bolivia was cheap, friendly and diverse, with lots of unique tourist opportunities. 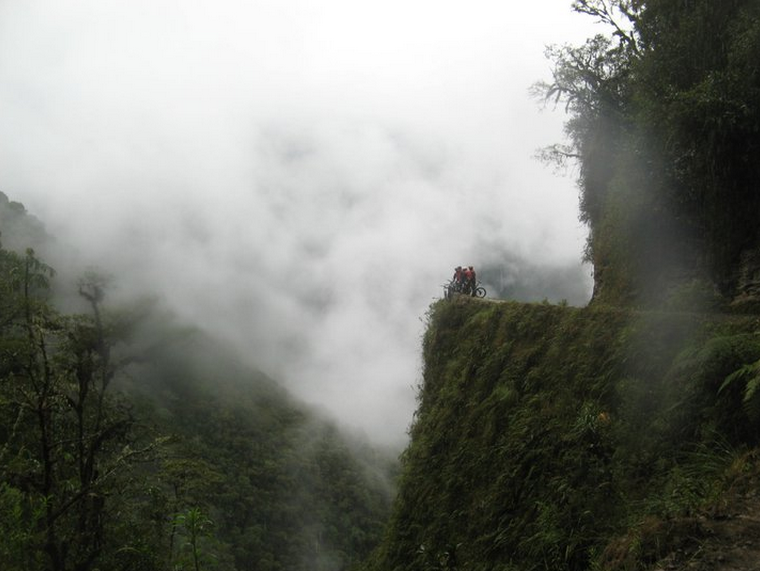 Ecuador had easily accessible sights and offered the possibility of cycling from the Andes to the Amazon in a day. 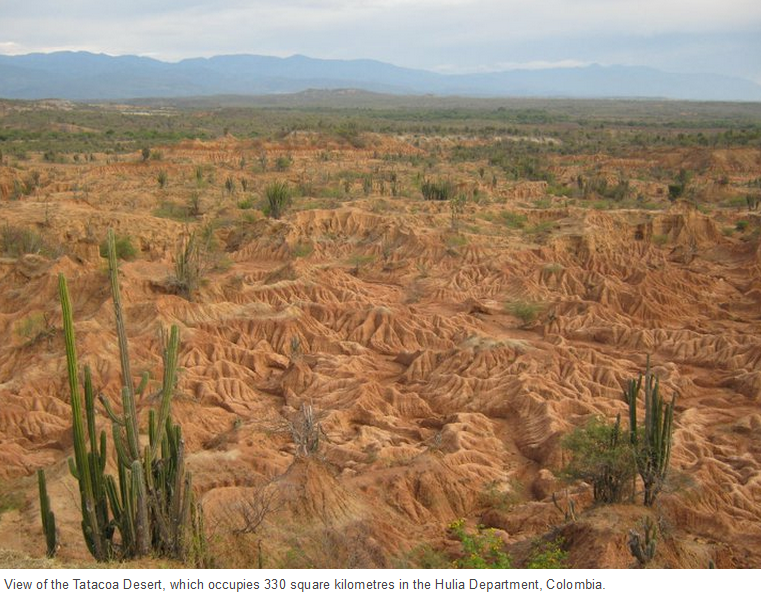 Colombia had rugged scenery as well as an attractive and cool population, although its reputation discourages many people. North-west Argentina’s vineyards and mountains were very pleasant and buzzing in the January I was there, as that is when many in Buenos Aires escape to the countryside. On the subject of buying match tickets, it seemed that for the most part you showed up on matchdays without having pre-purchased them and yet, irrespective of what barriers you initially encountered, still managed to get in. As you appear to have acquired much know-how in this area, what advice can you impart? Generally, I would advise showing up a couple of hours in advance, at which point you should be able to make a purchase and spend some time among the locals – most will be delighted that a gringo has chosen to watch their club. 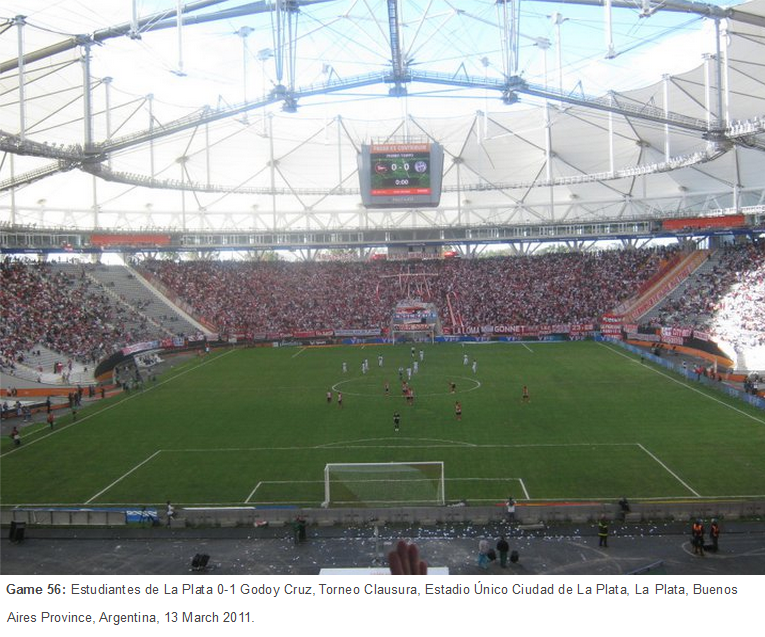 Face value prices were cheap – generally $5-10 in Central and South America, $10-12.50 in Argentina, whilst Brazil could cost as much as it does in the English Premier League. 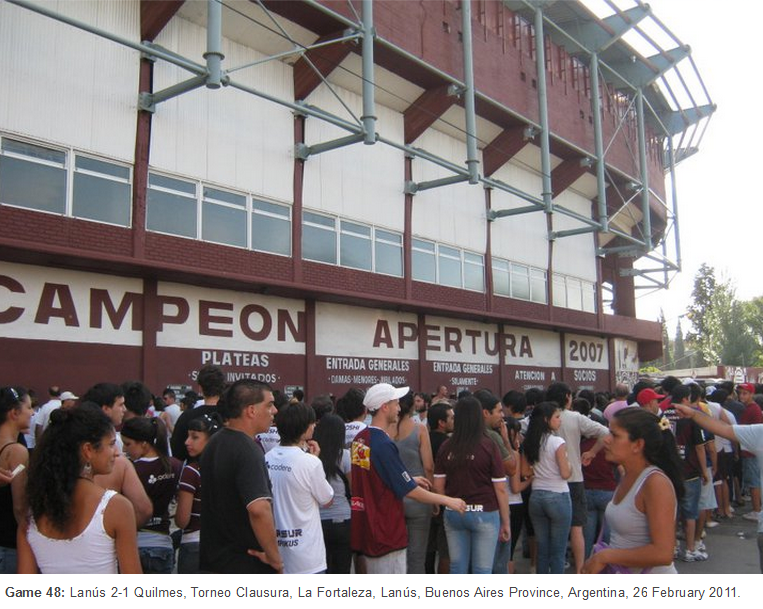 If you aren’t able to purchase a ticket in advance then touts are ever-present, although at the big Argentinian clubs you may have to pay tourist rates, which includes transport to the match (approximately $100 in 2011). 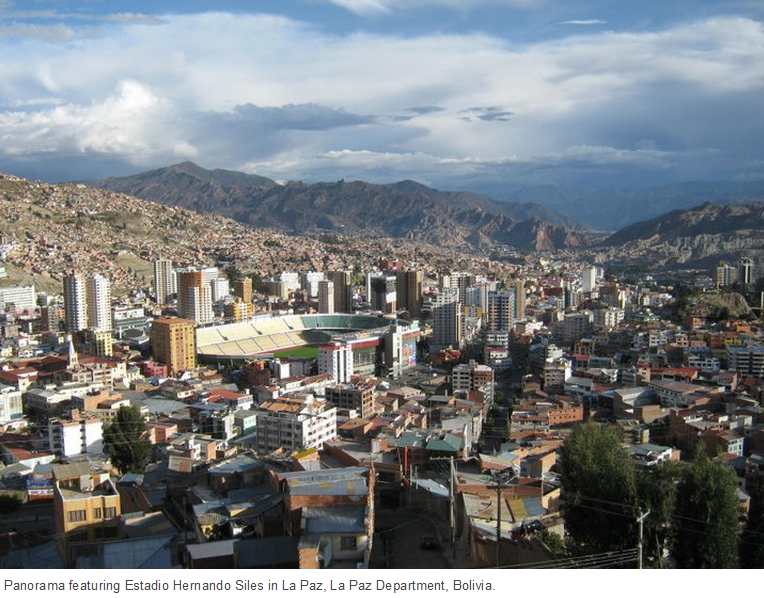 Oddly, to watch Universitario in Lima – visit your local supermarket! What were the most value-for-money places to live and/or watch football in? 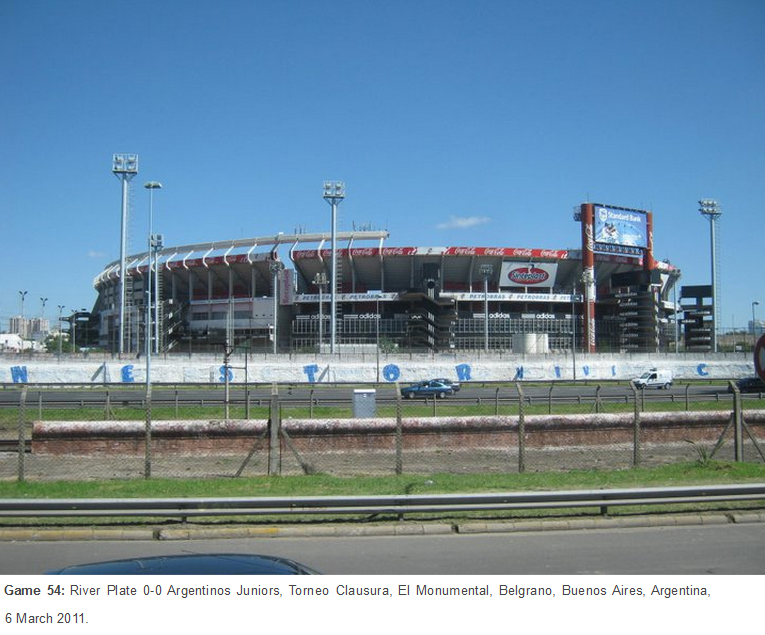 Buenos Aires is probably the world’s most exciting city to watch football in, and although accommodation isn’t cheap, public transport, food, drink and entrance fees are generally very reasonable – something I believe has continued as the Peso weakened in late 2014. 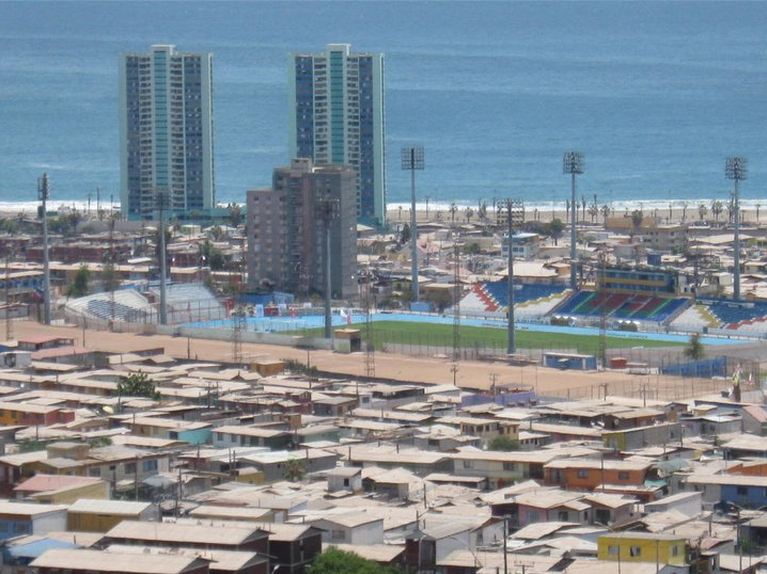 Ecuador was probably best value in South America for watching top-level football, whilst accommodation and living in Central America was noticeably cheap. Conversely, Chile and Brazil were more expensive than the other countries I watched matches in. While there was clearly much to be enjoyed on your journey, readers will discover that it was not always fun and games. Based on your experiences, if you wished to put someone off embarking on a similar adventure, what would you say to them? 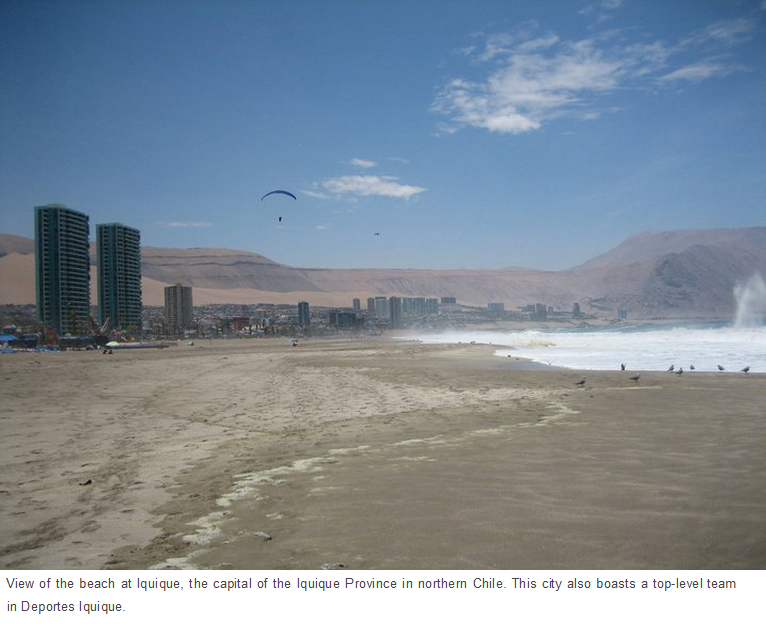 Unless you go to a resort, Latin America isn’t somewhere that you can just turn up to without any preparation and then expect to have a great tourist experience. Considerations need to be made for the language barrier (hardly anyone speaks good English), the heat, the altitude and the distances you will be travelling within a limited transport network. If you like things going according to plan then this certainly isn’t your ideal destination, as nothing runs like clockwork. Also, it is important to accept that the locals will assume that you are rich and therefore you are likely to be a target. 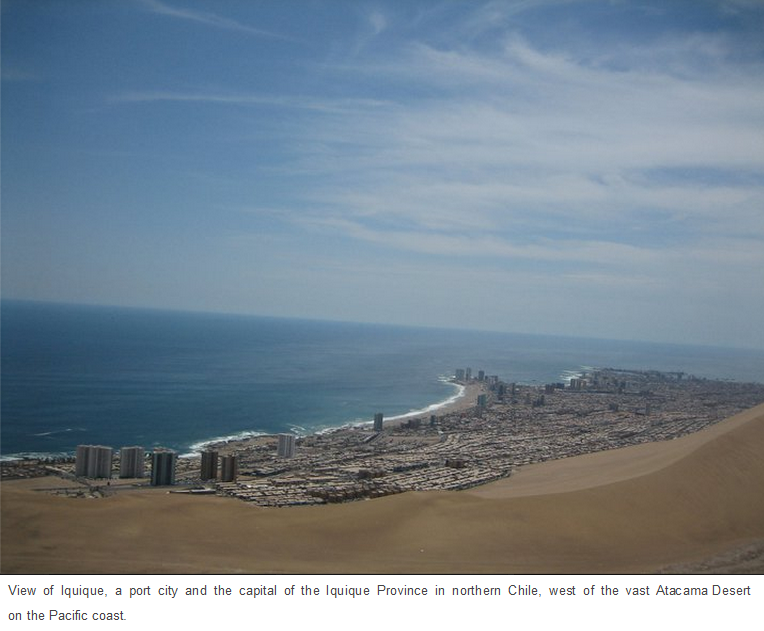 Although in my experience overcharging was the only real annoyance, I met many people who were robbed and subjected to violence, particularly in the big centres such as Lima and Quito. Peru, Colombia and Nicaragua’s capital, Managua, seemed to be the most dangerous places, but it is all subjective. 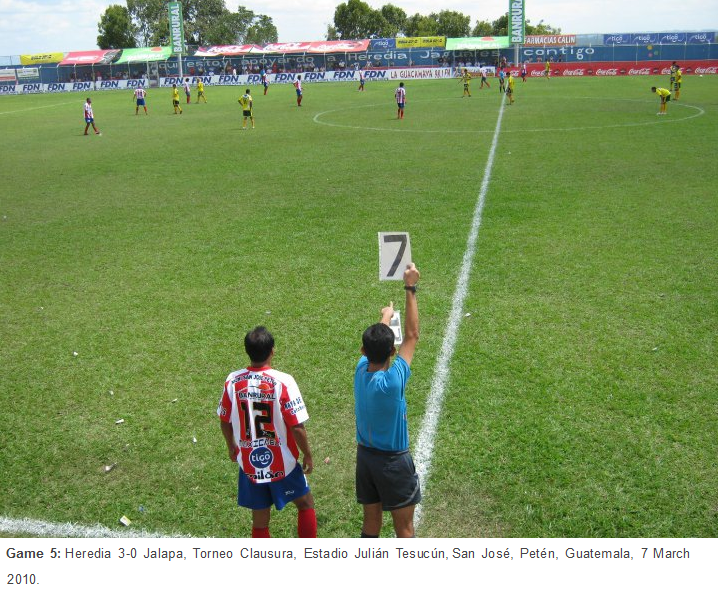 What is your interest in Latin American football like these days? Do you look out for any teams in particular? 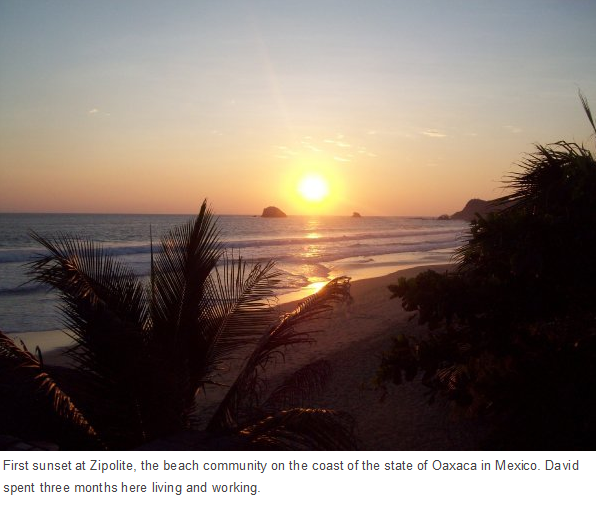 Finally, on a related note, what have you been up to since returning from your travels? I have been following Latin American results on Soccerway, particularly Argentinos Juniors’ return to a reformed 30-team Primera División and Vasco da Gama battling back into Brazil’s top-flight. Also, although I feel there could be a lot more exposure on British TV, I have been enjoying this year’s Copa Libertadores on Premier Sports and will certainly also be watching the Copa América on the channel and/or YouTube – whichever is most convenient. On a personal note, in the past three years between working for a bank and marrying my Brazilian girlfriend, I’ve spent much of my free time writing and editing the book. The first edition totalled almost 120k words, though thankfully the latest version has been whittled down to 103k – apologies to anyone who bought a copy a couple of years ago! Ultimately, while it may not be perfect, I believe it is a decent travelogue. David, thank you for giving up so much of your time to answer these questions and providing a taste of your experiences. Again, readers, if you would like to purchase Barra Brava in either paperback or Kindle format, click on whichever link is most relevant to your location: UK/Ireland, USA, Canada, Australia, Mexico, Brazil and Spain. If you have any questions for David Freeman, feel free to either reply to this article with them or, if you fancy the more direct option, he can be reached on Twitter under the account @TheBlueBarra. 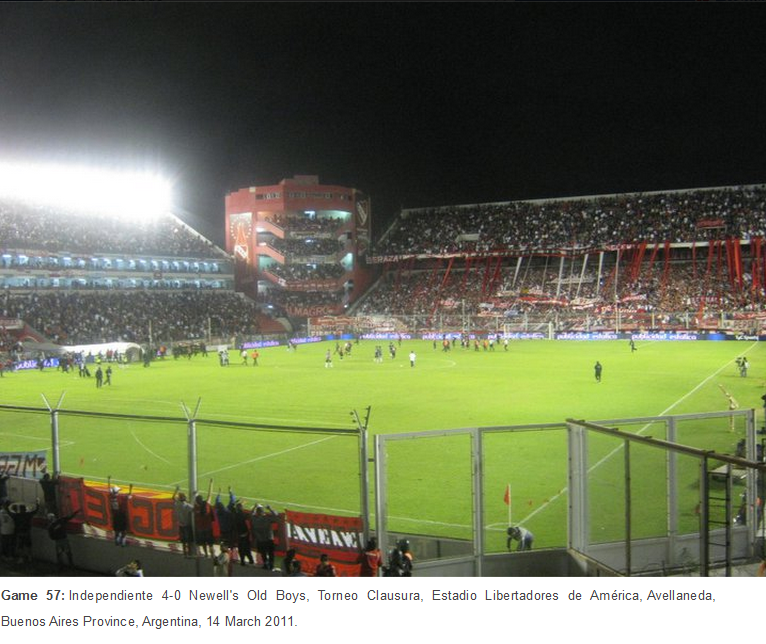 Fútbol in a Baseball Park, In Bed With Maradona, 15 February 2013. 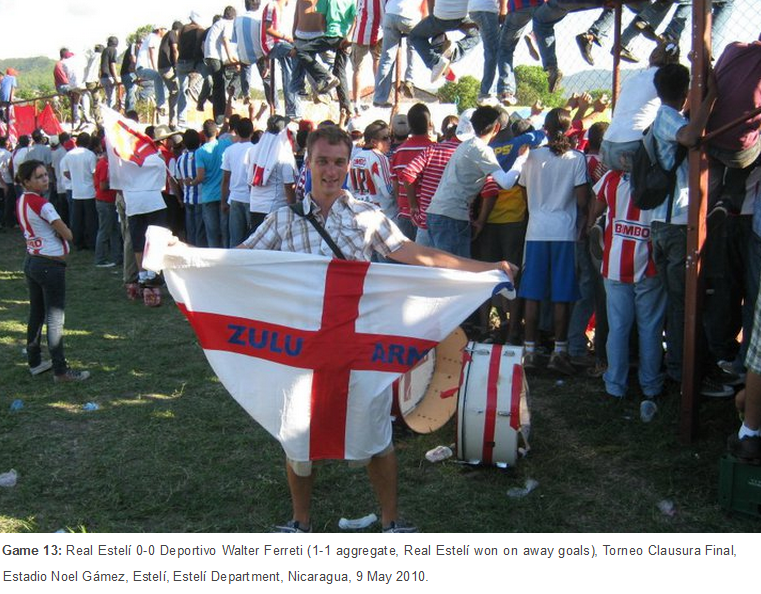 A detailed feature on the standard and status of football in Nicaragua, partially informed by his experiences of living there for four months as an English teacher. 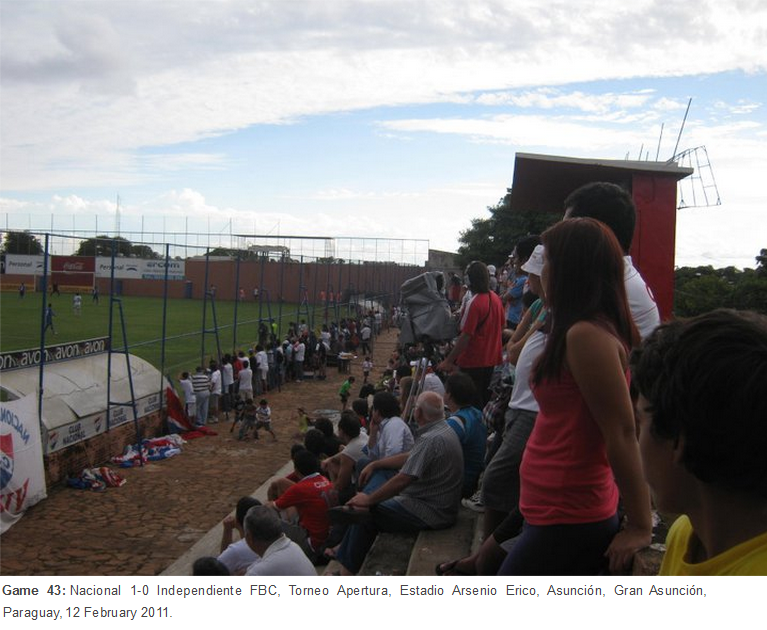 Latin American Football 2012 in Review, Talking Sports, 2 January 2013. Covering the year following his travels, here is a summary of who won what in Brazil, Argentina, Peru, Colombia, Peru, Ecuador, and Mexico. 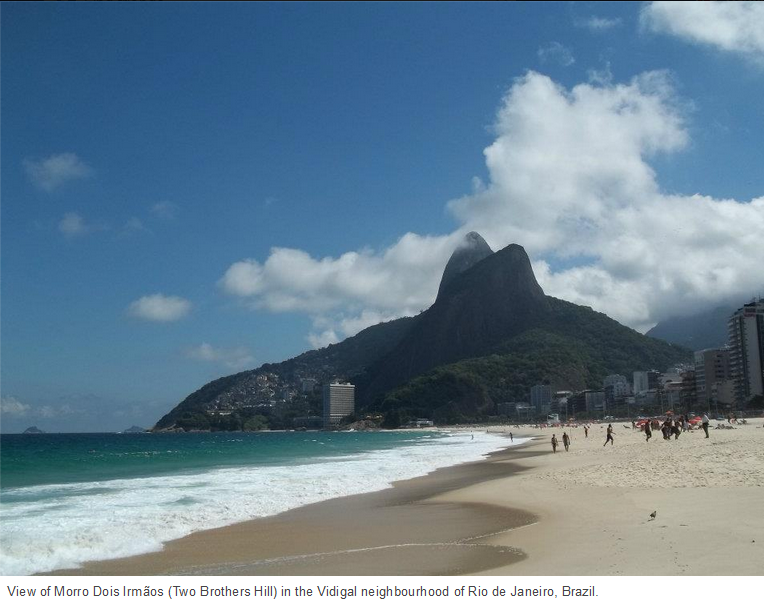 My Trip to Brazil: A Year of Expectation, Football Friends Online, 17 June 2014. 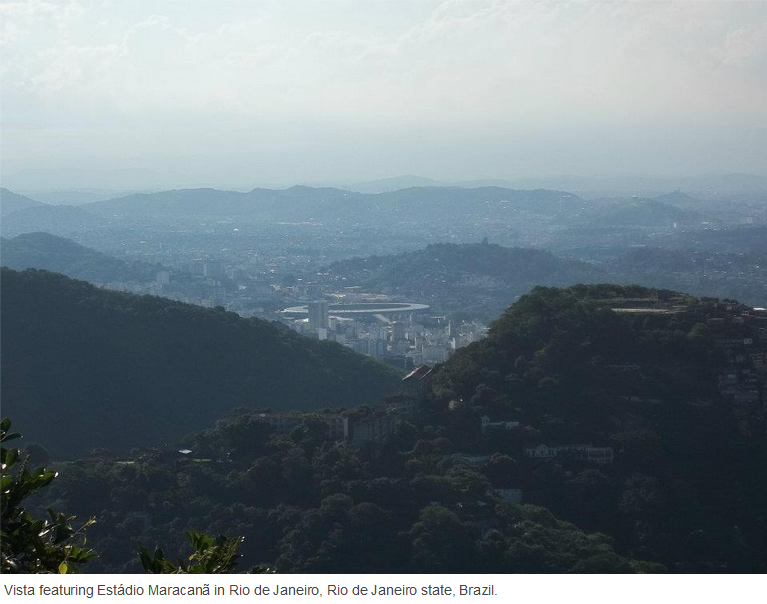 Craftily combining a pre-World Cup trip to meet his Brazilian girlfriend’s family with a football detour or three, Freeman visited the Mineirão, Estádio Independência and, of course, the Maracanã. 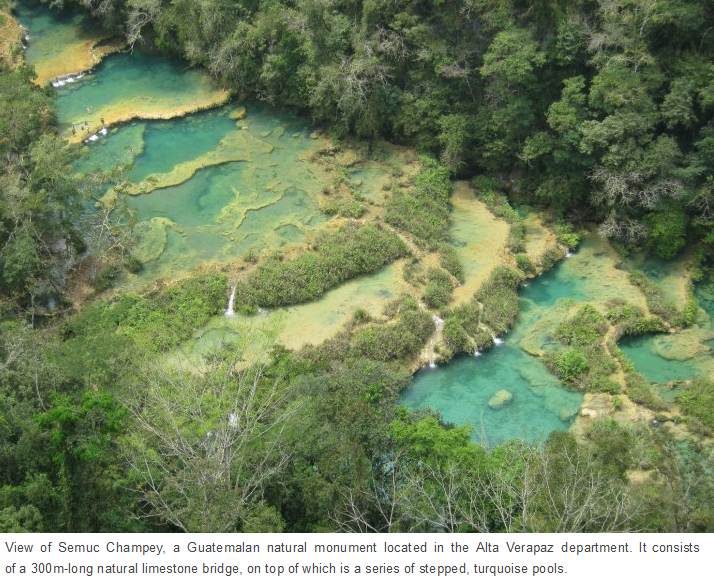 Article originally published on 6 June 2015. 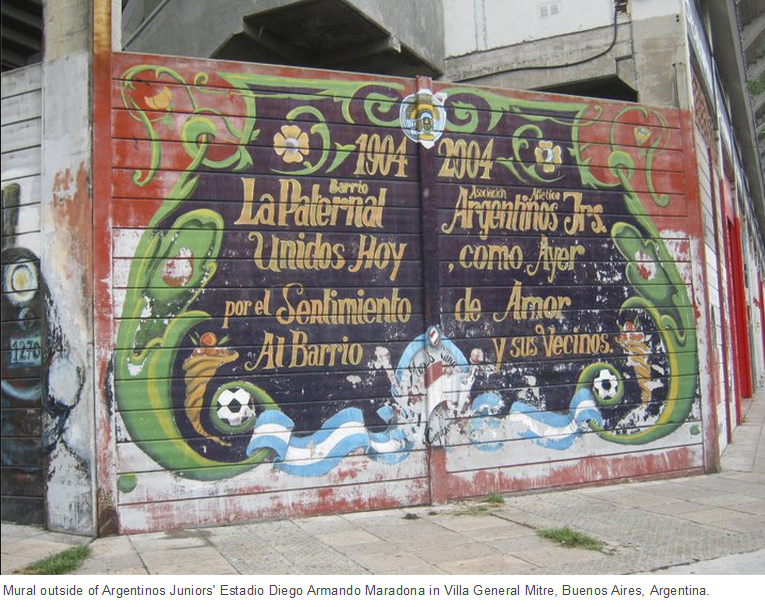 This entry was posted in Uncategorized and tagged América, Argentina, Argentinos Juniors, Barra Brava, Barra Bravas, Belize, Boca Juniors, Bolivia, Brazil, Buenos Aires, Buenos Aires Football Trip, Central America, Central American Travel, Chile, Colombia, CONCACAF Gold Cup, Copa América, Copa América 2015, Costa Rica, David Freeman, Ecuador, El Monumental, El Salvador, Estudiantes de la Plata, Gold Cup, Guatemala, Honduras, Juan Manuel Iturbe, Juan Sebastian Veron, La Bombonera, Latin America, Latin American Football, Latin American Football Books, Mexico, Mexico Trip, Neymar, Nicaragua, Panama, Paraguay, Peru, River Plate, Salvador Cabañas, Santos, South American football, South American Football Books, South American Football Fans, South American Travel, Uruguay, USA, Visit Nicaragua, Visiting El Monumental, Visiting La Bombonera on June 6, 2015 by hispanospherical.